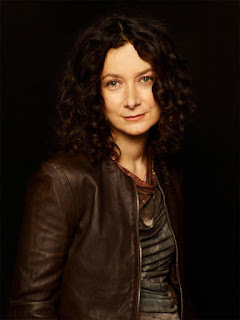 Sara Gilbert is a hot popular American actress, who was born on 29 January 1975 (birthday/date of birth/born) and is 43 of Age as in 2018 (how old is). She is 5 feet 3 inches in height (how tall is). Sara Gilbert Parents are Harold Abeles (Father/Dad) and Barbara Cowan (Mother/Mom). Who is married to - Her Husband / Spouse name is Linda Perry. She is wife of Linda Perry. She got pregnant and her Baby father is Linda Perry. She has 3 children/Kids /baby. Rhodes Emilio Gilbert Perry (Son/ Kids), Sawyer Gilbert-Adler (Daughter/ Kids), Levi Hank Gilbert-Adler (Son/ Kids). Her married / wedding date is 30 March 2014 with Linda Perry. Sara Gilbert girlfriends / dating /partner was with Linda Perry, Ali Adler, Tobey Maguire, Johnny Galecki. Her boyfriend Johnny Galecki is an American actor. Sara Gilbert Siblings are Melissa Gilbert (Sister), Jonathan Gilbert (Brother), Claudia Cowan (Sister), Joseph Abeles (Brother). Her sister Melissa Gilbert is a hot American actress and television director. Her Net Worth is $6 Million. Her Net Worth, family, bio, house, feet, height, movies and tv shows, the view are given here. She is known for her TV show The Big Bang Theory, Roseanne, The Talk, Grey's Anatomy. Her bikini details are on internet. In tv show The Big Bang Theory she palyed the role of Leslie Winkle. In tv show Roseanne she palyed the role of Darlene Conner-Healy. In tv show The Talk as Herself. In tv show Grey's Anatomy as Kim. What is Sara Gilbert (Actress) Profession? She is known for her TV show The Big Bang Theory, Roseanne, The Talk, Grey's Anatomy. What is Sara Gilbert (Actress) Educational Qualification? She is graduated - majoring in Arts. Sara Gilbert (Actress) Birth Place? Sara Gilbert (Actress) Religion /Caste? Sara Gilbert (Actress) Boyfriend/Husband /dating /Affairs? Dating /Boyfriend Name/Affairs - Linda Perry, Ali Adler, Tobey Maguire, Johnny Galecki. Sara Gilbert (Actress) Height in feet? What is Sara Gilbert (Actress) weight? Is Sara Gilbert (Actress) Married? Sara Gilbert (Actress) Family Details/ parents/ family background?